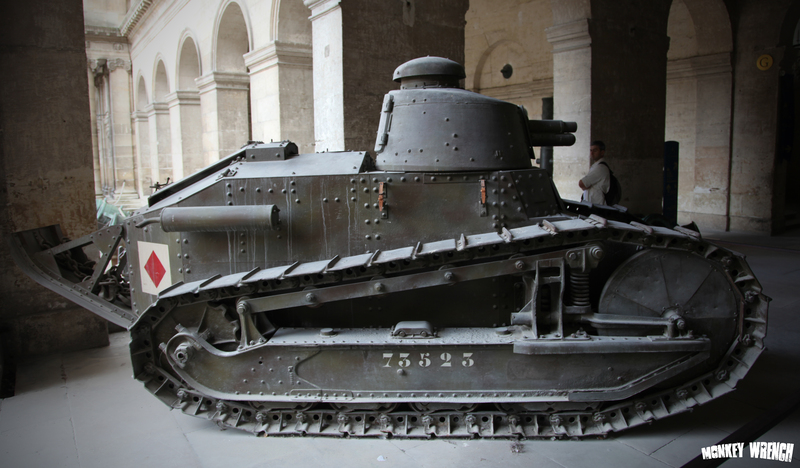 The tank was powered by a 39hp Renault 4 cylinder gasoline engine, and with its weight of 7.2 Tons it was able to reach a top speed of a blistering 4.3mph. 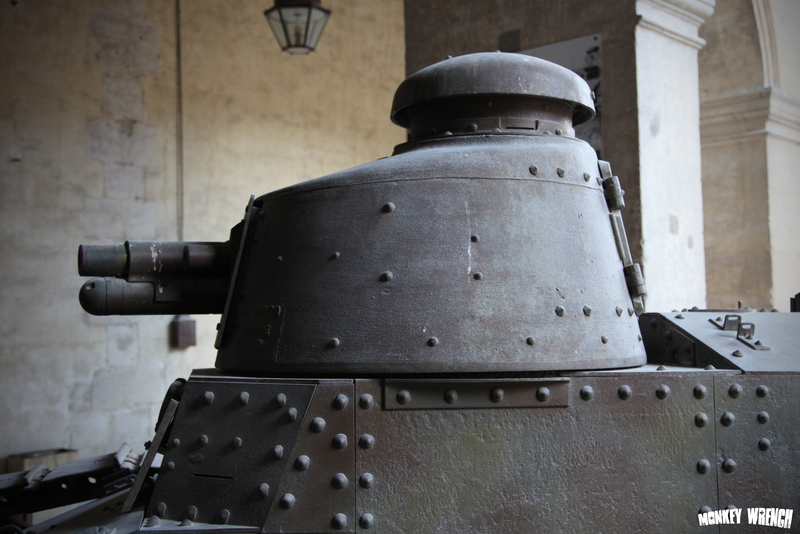 This particular one was equipped with a 37MM cannon. Very effective for destroying machingun nests, pillboxes and other hold-ups for advancing troops. 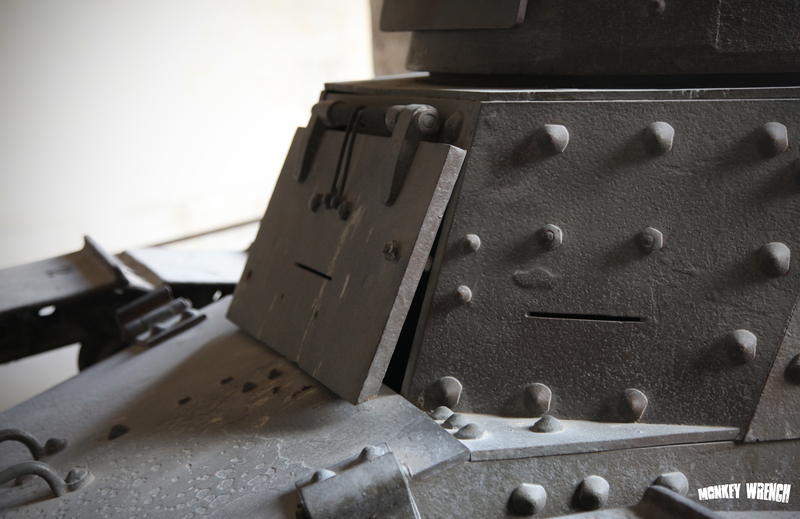 The .87″ thick armor used protected the crew from most small arms fire thrown at it. The biggest problems these tanks faced were cooling fan belt problems, and they were famous for “smoking the crew out”…. This entry was posted on July 18, 2011 by Dan. 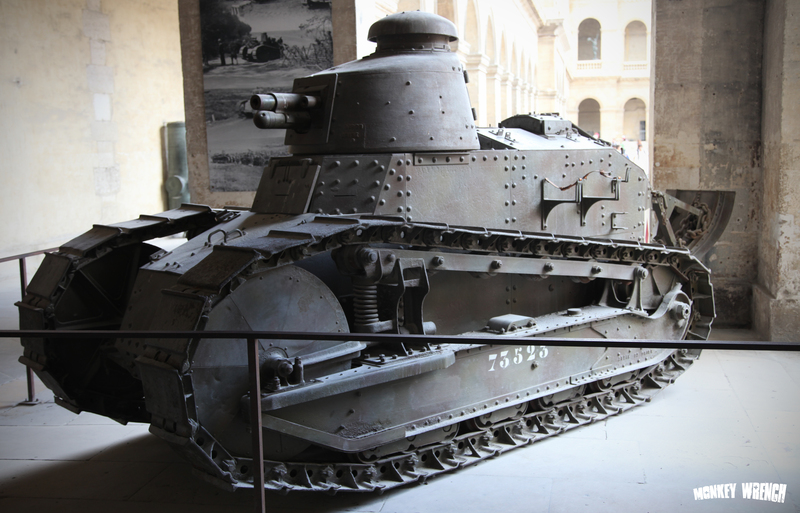 It was filed under General, Interesting firearms, Interesting stuff, Tanks and was tagged with 37mm, FT17, Paris, Renault, tank.